I’m compiling a list as I go for all the great products and software I use, and when I can pass on discounts to you my readers. So this list is in a clickable link format which will either head directly to the product or a review I’ve written myself showing how I use it and offering discount coupon code. Lot’s of companies have been very generous in helping out so a big thanks to those that obliged. 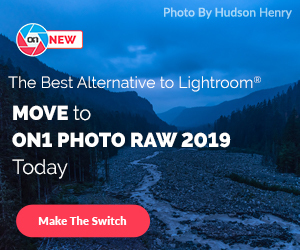 On1’s Photo RAW – is the software Bundle that I use : On1 Photo RAW – It has Photoshop Plug-ins and everything you need to edit photos, you will be amazed at how much you can do with this suite. OnOne has an amazing Filter program called Perfect Effects. When you see how many features are in this program you will be amazed 🙂 It has absolutely every kind of filter you can imagine and ones you can’t. I use this one all the time ! Topaz Adjust 5 is one of my favourite Filter programs to use for HDR images, with discount code LukeZemePhotography you can just get some amazing results. MY DSLR CHEAT SHEET– This is a pretty popular little sheet I mocked up for you to use in situation when you aren’t quite sure what setting to use on your camera. STUCKONEARTH, IPAD APP. Use it to find great locations by viewing images that are geotagged by other photographers. WEATHERZONE PLUS, IPHONE APP. Powerful little weather app which even allows you to track lightning in real time. GOOGLE MAPS FIRST PERSON VIEW. First person view is amazing on this. I can drive down a street without leaving my PC ! under rated as resource. To use it drag the little yellow man half way on the left hand side onto a street on the map. Click on the white arrows on the actual image to drive around. waaaa lahhh ! 500px, photo sharing site- Whats attractive about 500px is the quality of imagery on it. Only the best photographers exhibit their portfolios there. Flickr is more social, 500px is flickr on steroids. COMPLETE HDR TUTORIAL (MAC)- How to get from A to B and create a little HDR magic along the way. This guide has everything from tripods to software! COMPLETE HDR PHOTOGRAPHY TUTORIAL- POST PROCESSING– This video tutorial is super quick guide, written by myself, teaching you how to create a HDR image and what software to use. There is a bonus section in the 2nd video teaching you how to get discounts on the software. NIKON D800 HDR BRACKET SETUP GUIDE– This is a complete tutorial on in-camera setup to shoot a HDR bracket on a Nikon D800. Might be useful for other Nikon Camera’s. HDR- Using Photomatix to create HDR images- Photomatix is software to make HDR images.. It is the first step in a HDR workflow and I wrote this blog on my website highlighting how I use it and also uploaded videos where I go through the editing process for you. TREY RATCLIFF’s HDR VIDEO TUTORIAL -If you are willing to spend $100 for a comprehensive HDR video tutorial then this is the one for you. This is the complete video tutorial link- Click here to visit Stuck In Customs. Use code LukeZemePhotography for 10% discount on all stuckincustoms products !!! I personally have done this tutorial and it amongst others is invaluable and for over 11hours of teaching it is a bargain at around $90. If you are looking to learn and improve your HDR this is a must have. Trey is the guru of HDR and he offers up all his HDR secrets in these videos, plus he’s an artist at heart so his outlook is a really positive one. Discover the Art of Photography course- complete package $69 ! Click here to view more details OR purchase the individual episodes for $29 each – Episode 1- Getting started, Episode 2- Photo Composition, Episode 3- Finding your own Style & Episode 4- Photo Editing. Textures Tutorial- Basic Package $149 ! Click here to view more details. Premium package $249 and the Ultimate package is $299. STUCKINCUSTOMS– Trey Ratcliff’s site has some great HDR books and tutorials for sale and this is the link to all those great products. Use code LukeZemePhotography for 10% discount on all stuckincustoms products !!! Click here to visit Stuck In Customs. I can highly recommend the HDR video tutorial, the textures tutorial and many of the books in the flatbooks shop, but they all will improve your photography skills out of sight !!! Thanks ! Check this page regularly as I will continue to add reviews and links to products I know are great for DSLR and HDR photography. Here is some of my work from using the software and techniques above. Click on an image to see the full resolution image or purchase prints. When at the link click the buy button > This photo. To view the larger size images hover the mouse over the image and select viewing size, suggest X3-Large ! Why do you use a 35mm sensor sized Camera the D800 for landscapes when the professionals recommend shooting landscapes with a medium format camera. Wouldn’t this be a better for landscapes? I love doing HDR photography and think it’s an exciting field to be in. It’s an art practice that allows me to create in a way I like to create ‘art’. On a Nikon D800 I’m able to shoot 5, 7 or 9 brackets of images which I then use to create my HDR images. So using the D800 is an important part of my art practice as a whole. Photoshop is probably the most powerful piece of software a photographer can have and then secondly Lightroom. The other program’s I listed are all amazing as well and I use them on a daily basis, as ad-hoc to photoshop/lightroom.